Not just yet. While negotiators from both parties say they have a tentative deal on the table to avoid a second shutdown, nothing has been formalised yet. 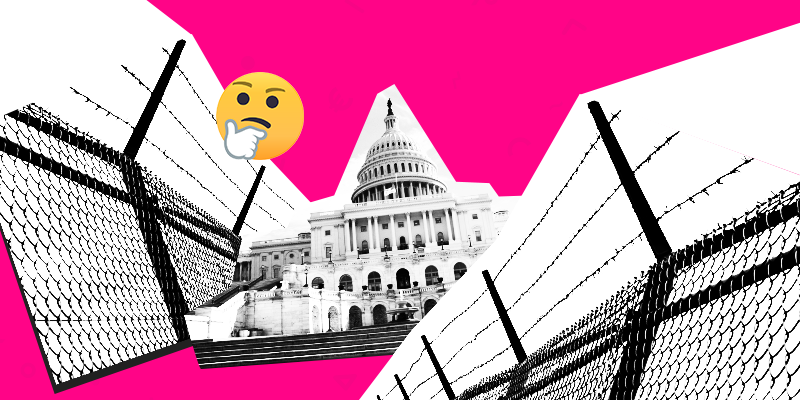 As per usual, the fate of any border security deal lies in the President’s hands and an outcome is expected to be given either today or tomorrow. But what has the deal turned into now? As it stands an additional $1.4bn will be put towards physical barriers, but not a wall. This is a far cry from the $5.7bn concrete barrier promised during the President’s campaign, but does include 55 miles of new bollard fencing and 17% fewer immigration detention beds which the President may herald as a victory. The hope is that the deal will be accepted to avoid another horrific shutdown which cost the government over $11bn, 800,000 workers their paychecks, prohibited farmer access to development funding and held back crucial economic data from markets. Relieving the pressure of a second potential shutdown would be welcomed by equity markets which closed slightly lower yesterday on rising uncertainty. Even though the deal comes with a lower price tag than the President was after, he would at least be able to say he delivered, albeit partially, on his pledge for higher border security. Whether this will be sufficient remains to be seen. Reputable investment research firm, MSCI, best known for its emerging markets index has said that emerging markets will be the engine of global growth for the next decade. But is it right? For now, the analysis may be a bit premature. After years of post-2008 quantitative easing and loose interest rates, emerging markets have been given the room to grow by a weaker Dollar. However, the tide is turning and more investors are flooding to the Dollar as a means of safe-haven against turbulent markets, trumping even the likes of gold. But what does that have to do with emerging markets? Well, many emerging market economies hold a great deal of Dollar-denominated debt to fuel growth and development. So, when the dollar appreciates in value, so does the value of that country’s debt. As a result, debt repayments become bigger, diverting capital away from development initiatives into repayment plans. Moreover, given that many emerging market economies are primarily resource-driven, their commodity exports (priced in Dollars) become relatively more expensive and less competitive in the marketplace. This makes their future performance tied firmly the the future of the Dollar. In the near term, with Europe and China under severe growth stress, the place to invest seems to be the US. The economy is booming from a fundamental standpoint and the currency looks set to continue its recent bull run and weigh heavily on emerging markets. And even though Thailand, Vietnam and Indonesia are making a stellar case for Emerging markets, the US seems to be in the driver’s seat for now. Activision Blizzard is looking to get crazy today as a surge in options activity indicates the potential for a big move following its earning call this evening. Investors have punished the share more than 50% since October last year and the trend has continued this week as its price slid more than 15%. 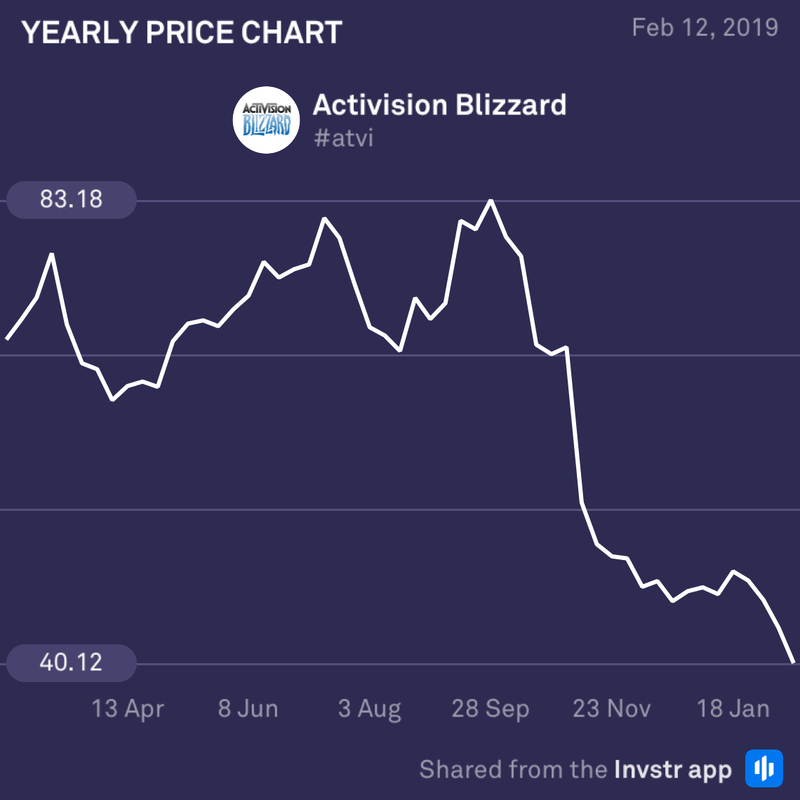 Analysts are expecting an earnings and revenue miss from Activision, but tread with caution when taking bets on this one. The consensus EPS estimate is $1.29 (+186.7%) on revenue of $3.04bn (+15.2%). 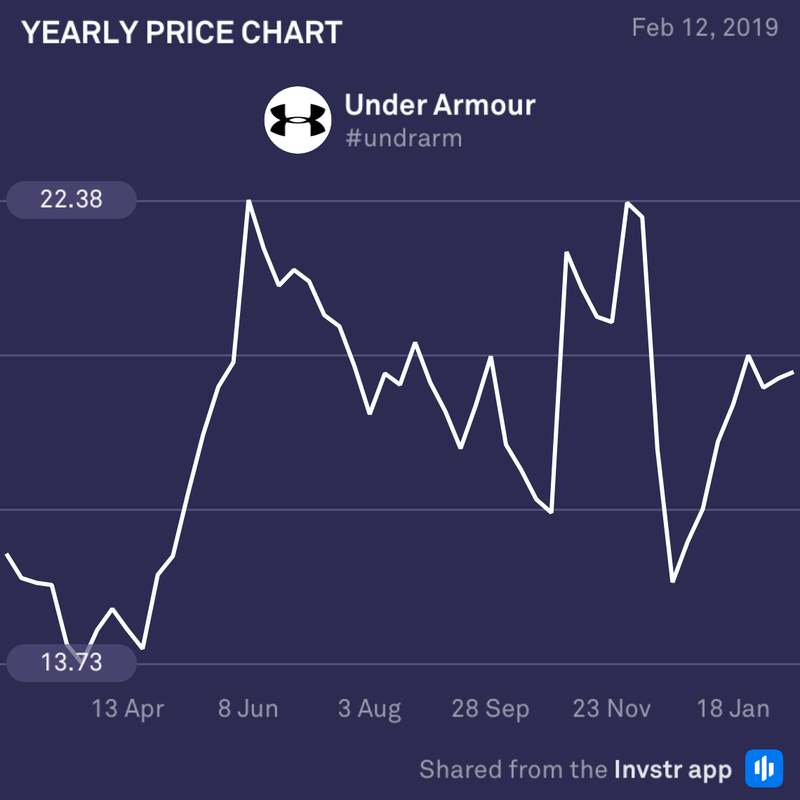 The jury is still out on whether Under Armour will pull off an earnings beat or fall short of the mark today. The company’s upcoming restructuring plan could cost the firm as much as $220 million and many employees their jobs as well. Even though the share is up 21.52% over a 52 week period, which outranks a number of peers, the firm’s guidance outlook for 2019-2023 is fairly grim with the company only expecting single digit growth. And as we all know, guidance often rules the day….We’ll just have to see what comes out in the wash!